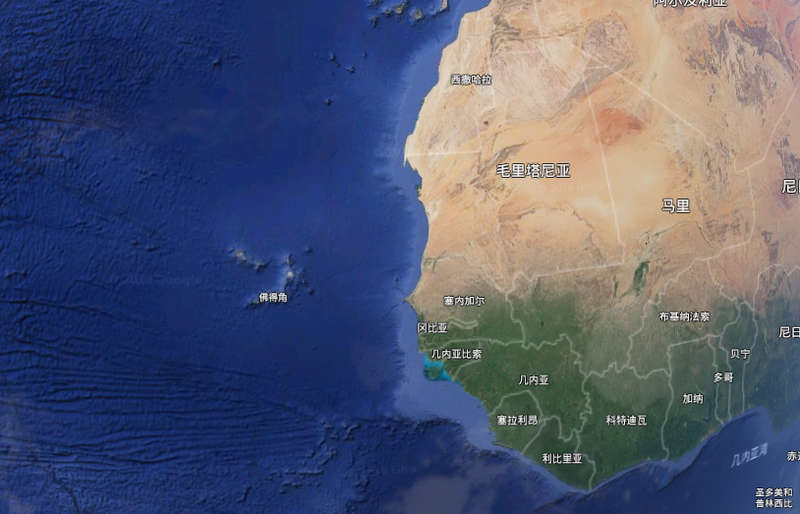 At the westernmost edge of the world map, there is a small dot — Cape Verde (Portuguese: República de Cabo Verde) in the Atlantic between the edge of the African continent and the map frame. Cape Verde, a volcano archipelago located in the mid-Atlantic Ocean, is composed of 10 volcanic islands and has a coastline of 965 kilometers. Cape Verde suffers from poor industry and agriculture due to its unique geographical location; however, the service industry is extremely robust, accounting for more than 70 percent of the country’s GDP and proposing strong demands for information technology development. 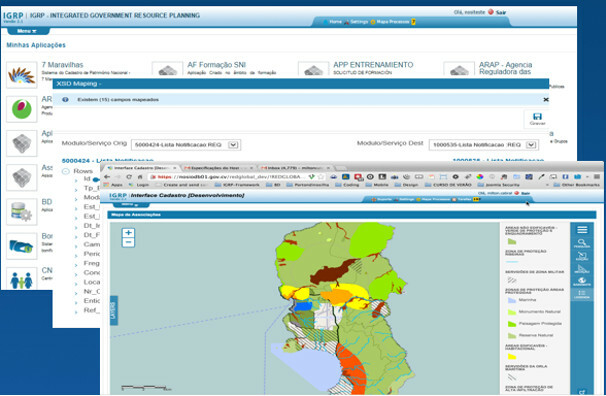 With informatization as a national strategy, the Cape Verde government is committed to building a more people-oriented government, creating more business opportunities to improve the competitiveness of Cape Verde, developing an open economy to promote economic development, and alleviating poverty through information communication and network technologies. In recent years, many West African countries have built national data centers for informatization technology advances. However, due to lack of application software development capabilities, ICT talent, and an ICT ecosystem, many data centers have no load. The government of Cape Verde expects to change this situation. Through the implementation of the eGovernment project, the government of Cape Verde is attempting to build a nationwide eGovernment office network and a national data center. The purpose is to greatly improve government office efficiency, promote the sharing of education, medical care, and other types of resources, improve Cape Verde’s informatization level, and build the country into an information hub for West Africa’s coastal countries, as well as a lighthouse in West Africa. NOSi, Cape Verde’s Operational Information Society Nucleus, initiated and implemented the eGovernment project and was responsible for service development and O&M after the eGovernment system was built. With 19 years of experience in eGovernment operations and development, NOSi has strong capabilities in eGovernment application software development and ICT technologies. The first phase of the eGovernment project was initiated in 2010 and delivered in 2014, which mainly included the construction of a national data center and an upgrade of the government communications network. This project phase completed the preliminary establishment of the national government network system platform and island interconnection network platform. Based on these achievements, NOSi initiated the deployment of the government informatization system. With the gradual emergence of new eGovernment applications in Cape Verde and the rapid growth of service leasing to third parties, the national data center, with only 200 Virtual Machines (VMs) built in the first phase, was fully loaded, leaving no available space for new applications or services. Organizations in areas that were not connected to the network were still using a paper-based working mode, leading to poor archival management, low work efficiency, and great difficulties in statistics collection and management. The education and medical care resources of the 10 islands could not be effectively shared. Remote areas suffered from sub-par teachers, poor hardware, and a low overall education level, and the government could not effectively obtain the population’s health and medical information in those areas. Due to difficult inter-island transportation, government agencies faced high travel expenses each year. The average travel cost per person was about USD 340 per trip. In this way, the travel expenses of 1,000 persons would reach USD 340,000 per month. An inefficient transportation network also hindered communication between government agencies. The preceding factors drove the initiation of the second phase of Cape Verde’s eGovernment project. Through smooth cooperation with the government of Cape Verde and NOSi, one-stop innovative ICT infrastructure platform enabling cloud-pipe-device synergy, and a large number of success stories in the eGovernment cloud field, Huawei was immediately selected by NOSi. 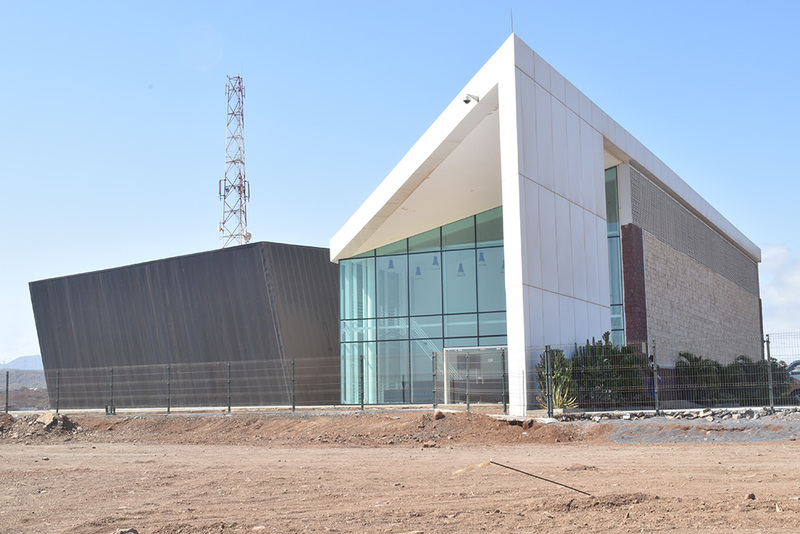 Delivered a national data center with 54 IT standard cabinets covering 200 square meters to the government of Cape Verde, providing information services for not only the government, enterprises, and institutions of Cape Verde, but also surrounding countries. Built intra- and inter-island backbone networks, metropolitan area networks, and wireless broadband access networks; constructed a fiber backbone ring using Dense Wavelength-Division Multiplexing (DWDM) technology on six major islands to upgrade Synchronous Digital Hierarchy (SDH) capacity from 622 MB to 20 GB; and provided broadband access service through the construction of Worldwide Interoperability for Microwave Access (WiMAX) to achieve the network coverage for some organizations throughout the country. Established 21 telepresence videoconferencing systems, giving the government the convenience of remote conferences. The phase-1 project construction effectively improved the national information and communication technology level of Cape Verde, which was a solid step towards eGovernment and social informatization. ‘One cloud’: A converged cloud resource pool, which implements unified delivery, management, and services of the infrastructure through intensive construction. ‘One lake’: A data lake, which aggregates a full range of data and provides the full-lifecycle processing capability of “collection, storage, calculation, management, and use” to help customers transform data resources into data assets. ‘One platform’: An application-enabling platform, which integrates basic data services, general middleware, and industry middleware to enable customers and industry Independent Software Vendors (ISVs) to quickly innovate services based on multiple types of middleware. Currently, the Huawei cloud data center solution has served projects in more than 140 countries and regions, including more than 330 eGovernment cloud projects. Deployed new IT devices and system software and transformed the old data center into the disaster recovery center, providing secure and reliable IT leasing services for government agencies and enterprises in Cape Verde through an active-active data center. Deployed internal office networks and videoconferencing systems for the government, schools, and hospitals in Cape Verde to expand the office informatization coverage in those places and improve the efficiency and quality of government administration, education, and medical services. Jointly developed the integrated ICT training system WebLab with the Cape Verde Ministry of Education to support ICT talent cultivation in Cape Verde and promote social information sharing and development. In terms of cloud data center capacity expansion, Huawei built 1,000 VMs for customers and upgraded the system from 480-core CPUs with 400 TB of storage capacity to 1,656-core CPUs with 1,000 TB of storage capacity. If the national data center’s demands for VMs continues to grow at the same annual rate (60 percent) as that from 2011 to 2015, the capacity expansion implemented this time could meet the business development requirements in the next five years. In addition, Huawei provided FusionCloud desktop cloud systems for government agencies and national informatization training centers, solving key government administration problems such as incomplete information protection, low-efficiency maintenance, insufficient resource usage, and difficult network isolation and switchover. Based on the ‘one cloud, one lake, and one platform’ architecture, the Huawei eGovernment Cloud solution provides the NOSi with shared basic resources, open data support platforms, rich smart government administration applications, comprehensive eGovernment services, strong security assurance, and efficient O&M service assurance. Those services helped remove data barriers between departments, build cloud platform-based and cross-department data sharing and exchange platforms, and deliver ICT infrastructure to enable the proactive and efficient one-stop work mode of government agencies and enterprises in Cape Verde. Similar to many African countries, Cape Verde suffered from unevenly distributed public resources, with one third of the country’s schools in three cities (the capital Praia, the port city of Mindelo, and Santa Catarina) and 58.6 percent of the hospitals on two islands (Santiago and Santo Antão). The Cape Verde eGovernment network was dedicated to connecting 1,142 organizations across the country through the same network. It used 530 routers and 669 switches provided by Huawei to expand the network built in phase one and allowed access from schools, medical institutions, government agencies, and enterprises in small and medium-sized cities and towns, and built data transmission pipelines for upper-layer applications. The network infrastructure broke geographical separation and brought network and eGovernment benefits to people in remote areas. For example, the telemedicine application system enabled emergency patients to obtain better professional services from the capital’s medical teams in a timely manner. Confronted with insufficient teachers and low education quality, schools outside the capital of Cape Verde were eager to access the national eEducation network and acquire quality education resources of other schools in time to improve the local education quality. Teachers also expected to exchange with each other in schools in and outside Cape Verde; however, the cost of traveling between volcanic islands was extremely high. In this case, videoconferencing systems could provide great convenience. Therefore, Huawei deployed 30 videoconferencing systems in high schools and municipal governments on Cape Verde islands. Huawei also provided WebLab, an integrated ICT training system, to help Cape Verde build a talent cultivation mechanism for educating sufficiently qualified ICT talent for its ICT industry development. ICT communications equipment, programmable enlightening robot suites, electronic maintenance tools, and furniture were deployed in containers based on NOSi’s current cloud national data center to provide basic ICT training for students on other islands. Those containers could not only provide ICT training for middle school students and local people, but also serve as multi-functional classrooms to deliver other skill training and certification services. Based on Huawei’s eGovernment cloud, NOSi developed more than 150 websites and 77 types of eGovernment software, covering social security, electronic elections, budget management, distance education and healthcare, and Enterprise Resource Planning（ERP）for all government departments, schools, hospitals, and state-owned enterprises in Cape Verde. NOSi also provided eGovernment applications and data center hosting services for surrounding countries, including Equatorial Guinea, Mozambique, Burkina Faso, Guinea-Bissau, São Tome, and Principe. Take the IGRP as an example. Developers can use a variety of pre-integrated application modules and components to quickly build upper-layer application software, improve the efficiency of the government’s public departments, avoid duplicate resource investment, minimize public management costs, and maximize Return On Investment (ROI). With these capabilities, the IGRP earned the title “eGov Software Maker” from NOSi’s President. Another example is the Medical Information System (SIS). It is a connection module used to manage hospitals, monitor the population status, and improve institutions’ functional capabilities. The SIS manages pharmaceuticals, clinical equipment, materials, laboratory diagnosis, and reservations (analyzing a hospital’s appointment information through the Internet and making schedules for doctors based on the results), and collects statistics on hospitalizations, appointments, and deaths. According to the 2017 International Telecommunication Union (ITU) report, the ICT Development Index (IDI) of Cape Verde ranked No. 4 in Africa, far higher than that of coastal countries such as Nigeria, Angola, Gambia, and Mozambique. Under the regional ICT hub strategy of Cape Verde, NOSi has delivered eGovernment applications and services to neighboring countries in West Africa based on its ICT infrastructure and capabilities and attracted government delegations from more than 40 countries. Currently, every organization, including each government, is in a critical period of digital transformation. Huawei is looking forward to bringing digital to every organization for a fully connected, intelligent world. It is evident that the construction of Cape Verde’s eGovernment cloud is a necessary step for government, education, medical institutions, and enterprises in Cape Verde to enter a smart world. The eGovernment cloud also makes Cape Verde a pearl of digital transformation in the North Atlantic region.